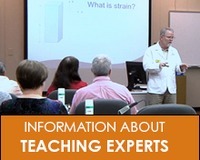 In this iLearn video Tom and Collin show how to achieve a practical Advanced Sensors C4A strain gage installation from «Scratch» or from start to finish. 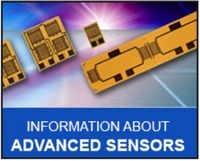 Advanced Sensors Technology C4A Series - Good News for Strain Gage Users. From watching this tutorial you will learn practical tips and also several tricks for installing any strain gage sensor. Meet the top smart best Back Scratcher of 2019 using Advanced Sensors Technology C4A 3 wires strain gage sensor. Now, using a strain gage you can reach out to the hard to reach stressed areas of your back without any difficulties and measure an accurate strain. It happens to all of us that we get a peculiar itch somewhere in our back where we can’t really reach to deal with. While it can be annoying when it happens, we need to remember that specific tools and sensors were invented for this exact purpose. Made from high-quality bamboo and high-quality strain gage, the back scratcher we use is super durable. The smart scratcher based on a strain gage is quite affordable as far as pricing goes and is more or less perfect for its quality, value, efficiency, and durability. Long-lasting (fatigue) and light in mass (or weight, depends on your gravity), this smart scratching gadget based on Advanced Sensors Technology strain gage will surely meet any stress analyst expectations in terms of ergonomic force/touch mechanism. Accelerated adoption of gadgets and personal gears based on Advanced Sensor Technology will occur, of course, as lower prices are brought about by mass production of these devices. Surface Preparation; Bonding Procedure; Orienting, Handling, and Bonding the Strain Gage; Inspect the Strain Gage Installation; Complete the Strain Gage Installation. For general-purpose stress analysis applications, the new C4A -Series strain gage with Advanced Sensors Technology are a drop replacement for the traditional C2A gage.